From the Makers of First Love (2010), Loot (2012), Chadke (2012), Princess Movies has come up with Mission Paisa 2 Reloaded whiis the sequel to the movie Mission Paisa released on 2009. In the movie Mission Paisa 2 Reloaded, Nisha Adhikari will be acting as a police inspector who is dedicated to eradicate crime in the society. movie also features the captain Bijaya Lama and Sauran Raj Tuladhar. Sauram Raj Tuladhar's debut movie Zindagi rocks was released recently but the movie was not successful in the box office. 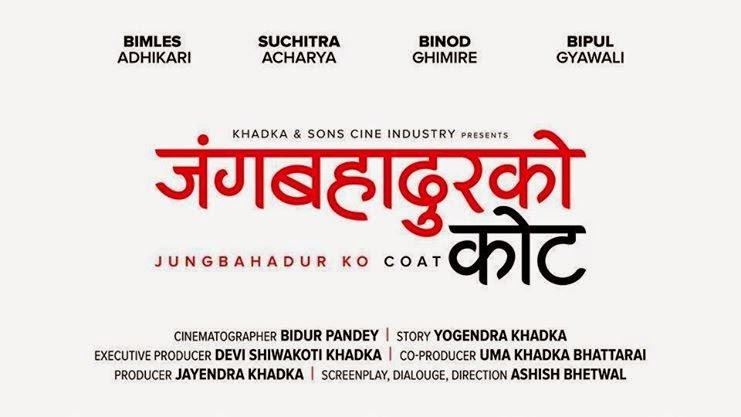 "Junga Bahadur ko Coat" (#JBKC) is the new nepali action thriller movie where some international mafias are keeping an eye on the 150 years old antique coat of Nepal - that's "Jung Bahadur ko Coat". The coat has a high demand and value in the international market so mafia groups are trying to find and sell it in the international market. Most scenes are shooted in Australia and Nepal. Actor Anup Baral can be seen in the role of the nepal police and actor Bimlesh Adhikari can be seen as the protector of the Jung Bahadur's coat in this movie. One interesting fact about this movie is that the director "Ashish Bhetwal" is just 19 years old.